I'd like to see a 500 minute, unlimited text, 1 gb of data plan for the smaller user. What price point were you thinking? Koodo used to have 1gb data plans but I'm gonna guess that they were more than what you ( and I) think they should be. I was thinking around $40 I have unlimited minutes & text & 1gb for $45, my wife has 300 minutes 300 mbs & unlimited text for $35, would like to bump hers up a bit but not able too without a big jump in price or lacking 1 feature or the other for around the same price as she pays now. I upgraded my data to the 2gb's for $45 on a black Friday promotion. Not everyone is big data user. And I can see more people may upgrade their plan from small data plan (200,300-500MB for $30-$35) to a little bigger data plan like 1GB without big price jump. Prepaid plans may be worth checking out. $45/30 days gets unlimited Cdn calling & texting + 2 GB of data. Net cost is $40.50 + tax if you register for auto top-ups. 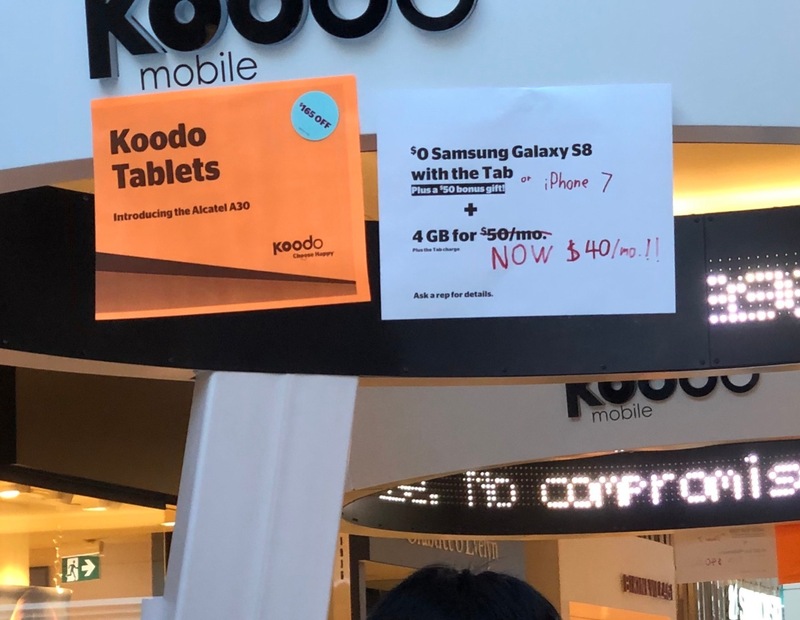 And, yes, you are eligible for the $20 activation credit when switching from Koodo postpaid, but you will have to settle any outstanding tab balance. If you ever roam in the US: no daily charge & balances carry over. That boxing week special is with a new s8 probably large tab, my wife doesn't want a new phone as she like the one she has. That prepaid for ontario is 50 bucks, so not really what she wants either. Sounds like a Public Mobile prepaid plan would be something to look in to. It's 3G data(which is fine for most users). They are owned by Telus and use the Telus network(same as Koodo does).